People use the term cherished number plate interchangeably with personalised number plate, a highly desirable number plate, or a “dateless” number plate - one released in the UK before 1963. But the origins of the term run deeper than that. The name “cherished” came about initially because of the length of time that some people would hold onto their number plates. Many people passed number plates from one vehicle to the next, running back to when the first license plates were issued in 1903. Today, thanks to Primo Registrations, anyone can own a cherished number plate. With us, you can find the perfect number plate to communicate practically any message you want. Our cherished number plates can tell other road users your name, occupation, favourite animal or say something humorous. Whatever it is that appeals to you, we have a cherished number plate to match. 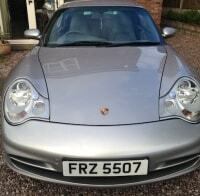 Cherished number plates are becoming an increasingly valuable investment. Rather like fine wine or gold, their supply is limited (in this case by law). As the owners of a cherished number plate, you are the only person legally allowed to use it on the road. Limited supply pushes up the price. What’s more, things are changing on the demand side too. With more people owning cars than ever before, and alongside society’s increasing wealth, people have more money to spend on exclusive items, like cherished number plates. Though not guaranteed, a cherished number plate you buy today may become more valuable in the future. All new registration plates contain information about your car’s age. Because of this, anyone else on the road can tell when you bought your vehicle - and you might not want them to know. As discussed, many cherished number plates are also “dateless” number plates. That means that they contain no information about the year your car was built. With a cherished number plate, you can keep the age of your vehicle a secret and continue to enjoy it as you always have. 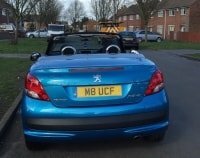 You have to display number plates on vehicles in the UK by law. But smart businesspeople realise that they can also double as advertising for their companies. 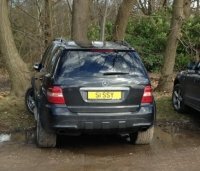 When it comes to private number plates, it’s not so much what you say, but the fact that you’re saying anything at all. You don’t have space on a cherished number plate to go into detail about your product or deliver a slick marketing message, but you can create a lasting impression on people who see your vehicle. Many people take note of personalised registration plates and remember them. How Do You Buy A Cherished Number Plate? Buying a cherished number plate is easy. All you have to do is go to the Primo Reg search box, choose “dateless” or “dateless Northern Ireland” and then click search. The intelligent search algorithms will immediately find associated number plates which contain the sentiment of your keywords. So, for example, if you search “doctor,” you'll get back a range of registration plates which relate to doctors. Likewise, you can type in your name e.g., MEL, and you’ll get back cherished number plates which fit the bill. Once you’ve chosen a number plate you want and placed your order, we’ll do the rest. We’ll take care of all the documentation and can even transfer registrations between vehicles for you. By choosing us, you can take delivery of your new registration plate in as few as ten working days (if it hasn’t been issued before). The history of cherished number plates began in 1903 when city councils began requiring new vehicles to carry number plates. Earl Russel stood outside his local council offices all night, according to the story, waiting for them to open in the morning and start handing out registration plates. The most famous cherished number plate, A1, was issued in 1907 to Mr George Pettyt. Mr Pettyt put the plate on a series of cars, with the last being a Sunbeam Talbot. Mr Pettyt died in 1950 and gave his possessions to a Mr Laker in his will. 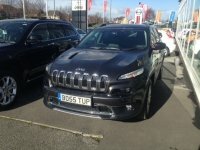 Although Mr Laker took possession of the car and the cherished number plate, the will forbade him from selling the number plate on until his death. Mr Laker died in 1970, and the number plate went to his next of kin who put it up for sale, giving the proceeds to charity. The plate sold for £2,500, which was a lot of money in those days. Thirty years later, the cherished number plate A1 fell into the hands of the Brunei Royal Family and now adornes a humble Mini Cooper. The price of the number plate is not known. But another cherished number plate, 1A sold for upwards of £160,000 back in 1986 thanks to its exclusivity. Of course, you don’t need to spend anywhere like that kind of money to get a cherished number plate. 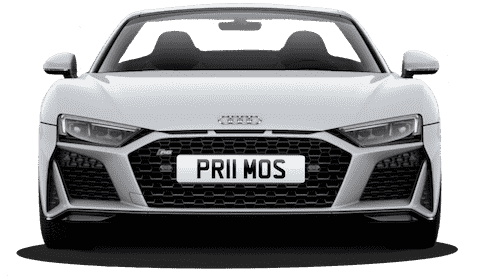 With, Primo Reg Plates, you can get a range of affordable cherished number plates, all listed in our extensive database. With us, you can get cherished private plates quickly. We take care of all the background paperwork, so you don’t have to deal with any government agencies or fill out endless paperwork. With our help, you can get the number plate you want and overcome the usual hurdles that can derail attempts to get the plates that you want. Remember, cherished number plates will help you stand out on the road and personalise your vehicle. What could be better than that?